What do these fence posts do? 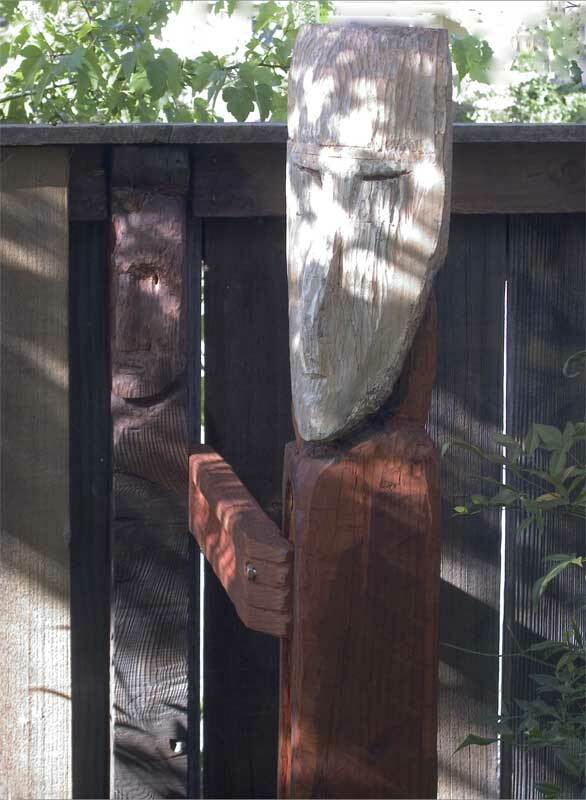 Hand carved redwood posts emerge from my fence in Kentfield, Marin County, California. 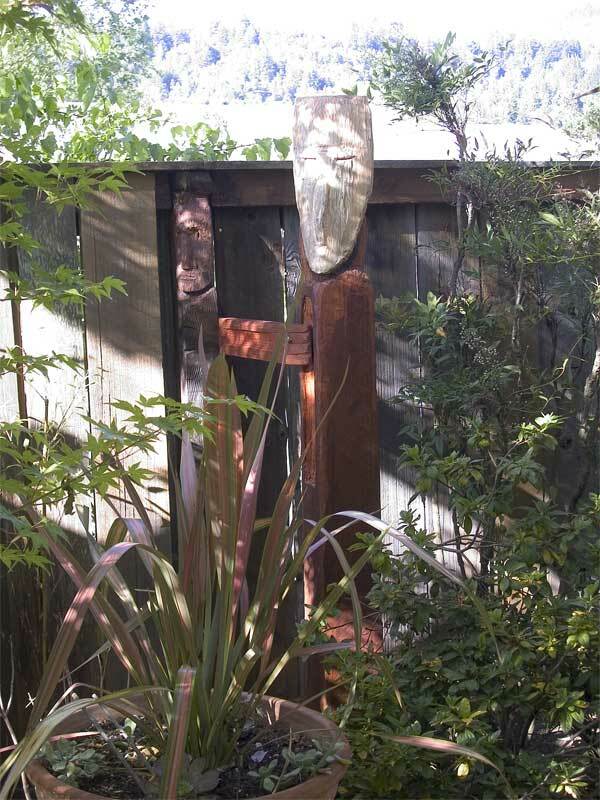 Some redwood posts get cut-up before they’re carved-up: here’s an example.